For a state that has a legacy rooted in women-led movements and has a strong female electorate, it was an incident that sent shockwaves through its length and breadth. 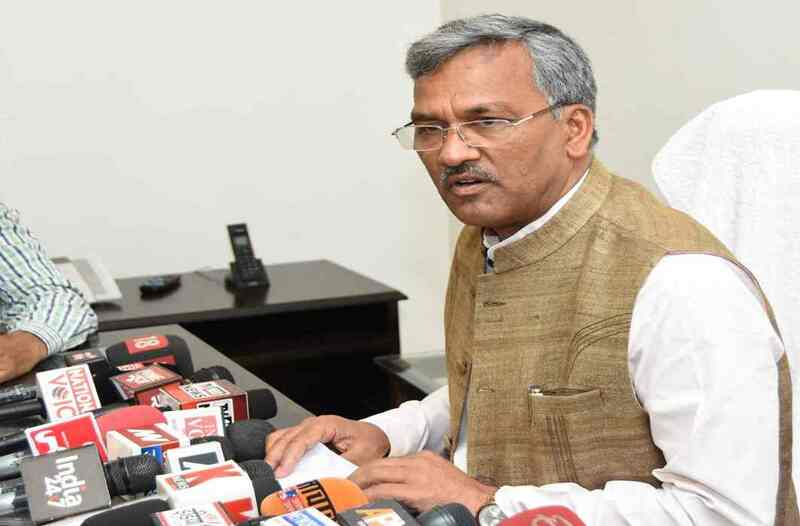 It took place late last month at the Uttarakhand chief minister Trivendra Rawat’s Janata Darbar. Uttara Pant Bahuguna, a 57-year-old widowed government teacher, had been posted in the hill state’s remotest areas for the last 10 years and she was not in the best of health. With none to look after her children back in Dehradun, she went to the chief minister’s darbar with a transfer request. She was in for a shock. Otherwise, a seasoned politician, the chief minister spoke and acted in a manner with the teacher that now has the BJP and its government squirming in embarrassment and its cadres facing a public backlash. Far from lending a sympathic ear, Rawat, ordered her arrest and suspension. A video that soon went viral shows the chief minister appearing to lose his cool and saying, “suspend her”. The incident has exposed not just the workings of the state machinery but also the level it stoops to while interacting with a common citizen. In its truest sense, the incident reflects not just Uttarakhand’s existing political system, but its state of civic responsibility and sensitivity. Reeling under attack from opposition parties and teachers’ groups, the government is reported to have extended an olive branch to the teacher. Parallels are now being drawn with the chief minister’s wife, Sunita Rawat. For more than 20 years, she has been stationed in Dehradun, while her initial deployment was in Pauri Garhwal. Her first appointment was on March 24, 1992, in Kafaldi Svit Pauri. After that, on July 26, 1992, she was posted to Mandoli Pauri in Garhwal. On August 27, 1996, she was posted to Ajabpur Kalam in Doon. It is clear that all postings of the chief minister’s wife have been in an accessible place for the past 22 years. There are many such ministers and MLAs present in the state government, whose wives are posted in locations of access and comfort. Hence, the debate now is whether these wives of political leaders get a similar response as Uttara Pant received (see box). This episode has raised the biggest question on the state’s new transfer policy. Ideally, the chief minister should not have even talked about the transfer with Uttara as he has no right to transfer an individual over general affairs under the new transfer policy of the state. Chief Secretary Utpal Kumar Singh has even directed all the departments of the state government to take action according to the provisions of the new law. According to the new law, transfer orders in all departments were to be issued by June 10. By March 31, applicants had to be marked for transfers while transfer committees were to be formed during this period. A list was to be prepared based on the vacant posts in the inaccessible area and the number of applications for these posts by April 15. According to the new policy, employees who have been deployed in accessible areas for past four consecutive years will be deployed in essentially inaccessible areas, provided that they do not fall under any special provisions. On the other hand, volunteers who are willing to travel freely from one remote area to another would be welcome. If the workplace is at an altitude of more than seven thousand feet, one year of deployment will be considered equivalent to two years. On the basis of request, transfers will be done only when there are vacancies available. Arrangements have also been made to provide the desired deployment for disabled personnel. Parents of physically or mentally challenged children who are in service are to be exempted. Under orders of the chief secretary, the duration of the deployment was to be considered every year from May 31. All departments were to constitute transfer committees at the government, divisional and district levels. The transfer committee will first consider compulsory transfers from accessible areas to remote locations. Next in consideration would be matters related to the transfer request. Lastly, transfers from remote to accessible locations are to be considered. Apart from this, Group A and Group B officers will not be deployed in their home district. The clerical and non-administrative staff of Group C and Group D employees will be deployed in the home district. Under no circumstances will the employees removed by the administration be again deployed at the same location. Even after all these laws, which have been passed by the assembly and have seemingly come into force, the very chief minister who ridiculed and insulted a woman with a transfer request has his wife posted in Dehradun untouched by any transfer orders. Well, for this CM, family comes first.